When do we list it? Who will list it? Are repairs needed? How will we make the repairs? Who will pay the costs? These are important questions that will require thorough investigation. This task can be difficult for anyone, much less divorcing couples who were unable to live together or make joint decisions. No matter this difficulty, it is incumbent upon both of you to put your angst aside and handle this transaction in a businesslike manner. Of course, this is often easier said than done because of the understandable nature of divorce and the high degree of emotions involved. However, if your home is your sole asset of any significant amount of equity or even debt, you cannot afford to let emotions interfere with finding a suitable solution. (1). Agree to obtain a “pre- inspection” of the house. A thorough pre-inspection by a licensed professional will uncover any problems with the dwelling that warrant repairs prior to listing the property on the real estate market. With a list of potential issues in hand, you can decide how to deal with those issues upfront by looking at your finances and deciding what you have to do based on what can you afford. (2). Find a realtor. Drive around your neighborhood or in surrounding neighborhoods and make note of any realtors with multiple listings. Contact those potential sellers and ask them about their satisfaction with the realtor. Meet with the Realtor and explain your goals. If you and your spouse cannot meet jointly with the realtor, then both of you should schedule an appointment with the realtor. (3). Share with your Realtor the “pre-inspection” report and seek his or her advice on any further suggestions prior to listing the property. Perhaps a spouse has moved out and removed all of the furnishings. Ask what can be done to stage the house better. You’ll be amazed at the suggestions you may get and what a difference your follow-through will make. (4). List the property for sale and cooperate with the realtor and each other. Remember, this property whether it is an asset or a liability must get sold to provide each of you with the piece of mind to move forward with your lives. Selling the house and moving on can be challenging for each of you as well as your children. Emotionally it is hard to say good- bye to a familiar environment and step out into the unknown. However, the sooner you can sell the house, the sooner you can establish a new beginning. 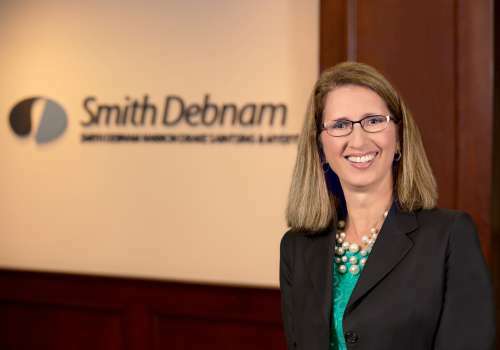 If you have any questions or would like more information on this topic, please contact attorney Rose Stout at 919.250.2169 or by email at rstout@smithdebnamlaw.com.